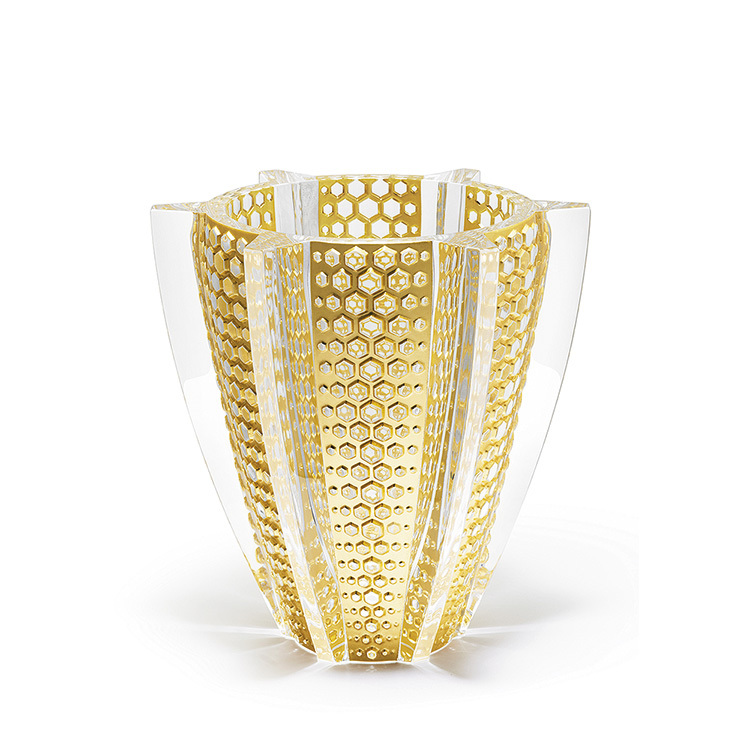 In 1927, René Lalique’s boundless imagination and creative genius lead to the creation of the Bacchantes vase, a work of unparalleled beauty whose splendour and sensuality left people spellbound. 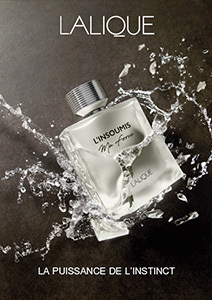 Since its original release, it has been a staple in the Lalique collection and has become an enduring symbol of Lalique's renowned style. 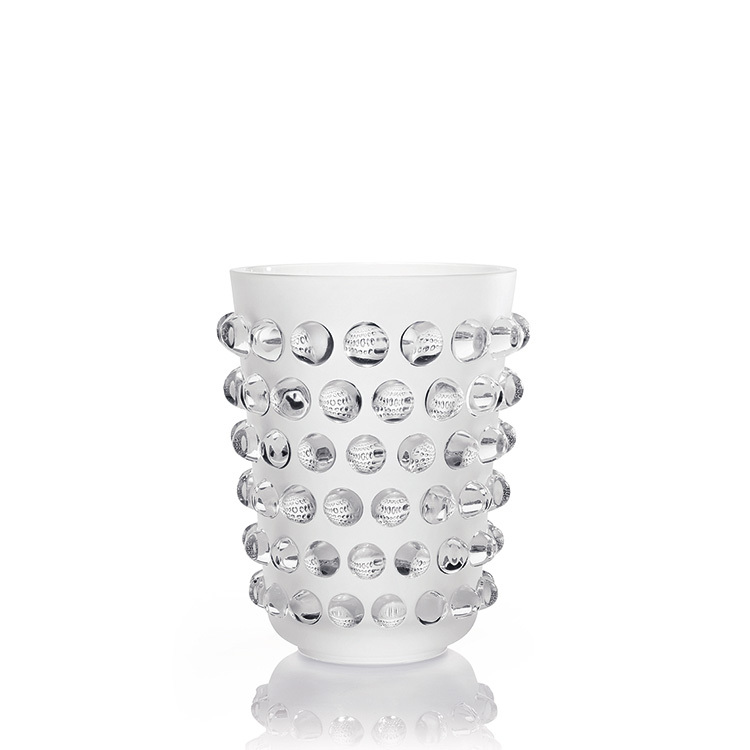 Its satin-finished crystal evokes the softness of the skin while the plays on light bring movement and life to the piece. 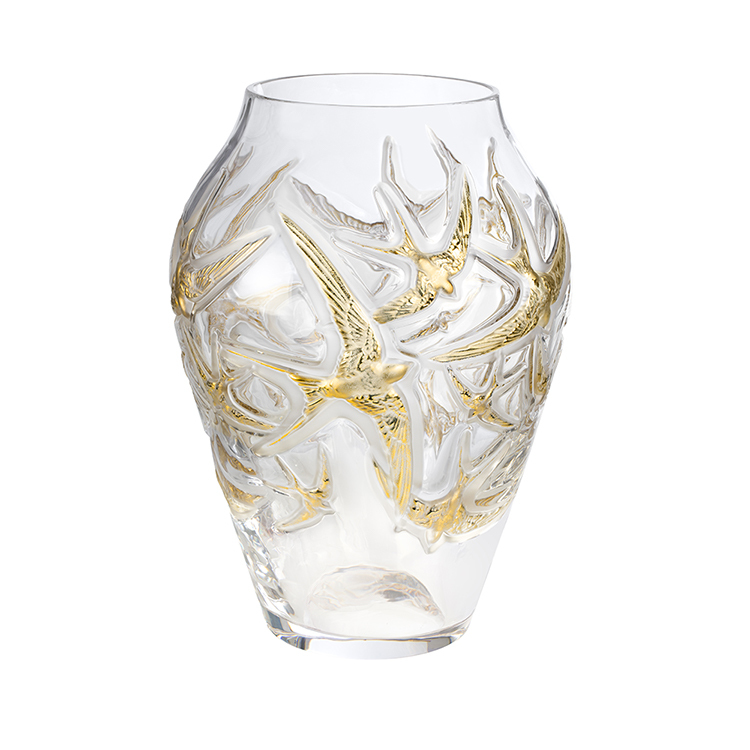 Lalique gives a fresh insight into this iconic creation revolutionized through a Grand size highlighted with gold leaves, in a limited edition of 90 pieces. 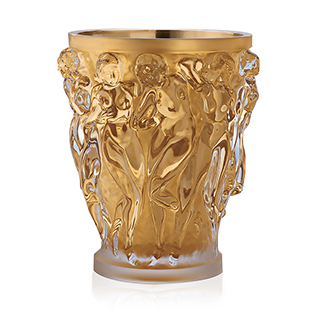 Harmoniously combining the purity of crystal and the nobility of gold, the Grand Bacchantes with gold leaves displays alluring sensuality. The voluptuous curves of the young priestesses of Bacchus are highlighted with 24K gold leaves applied by hand by craftsmen from the prestigious Ateliers Gohard while the satin-finish of the original model has been revamped to give a fresh insight to this masterpiece. 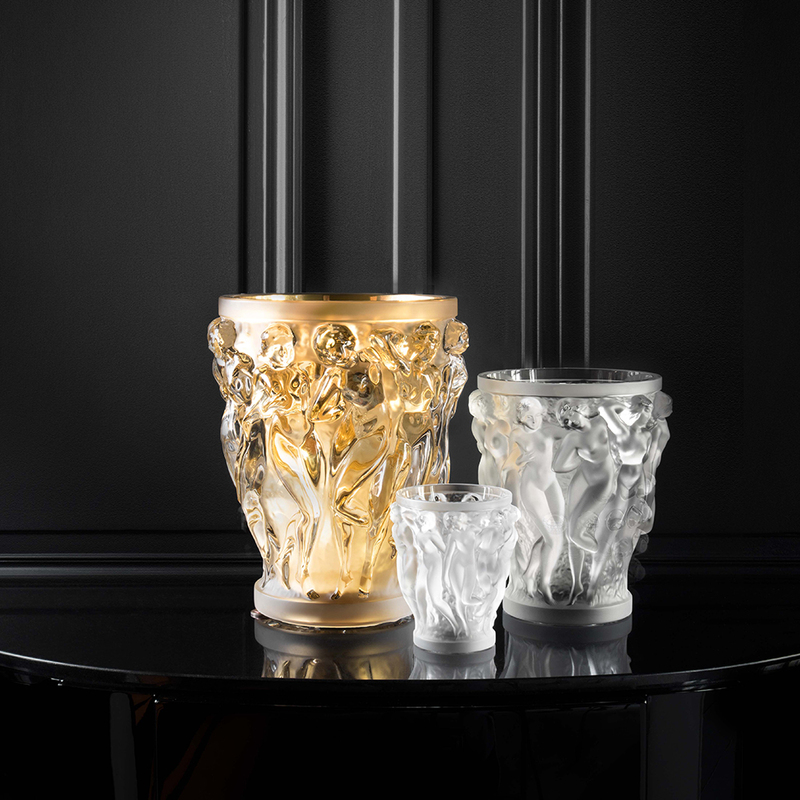 Thus, the transparent silhouettes reveal the preciousness of the gold leaf, initiating a dialogue between the classicism of gold and the modernity of the lines through illumination. 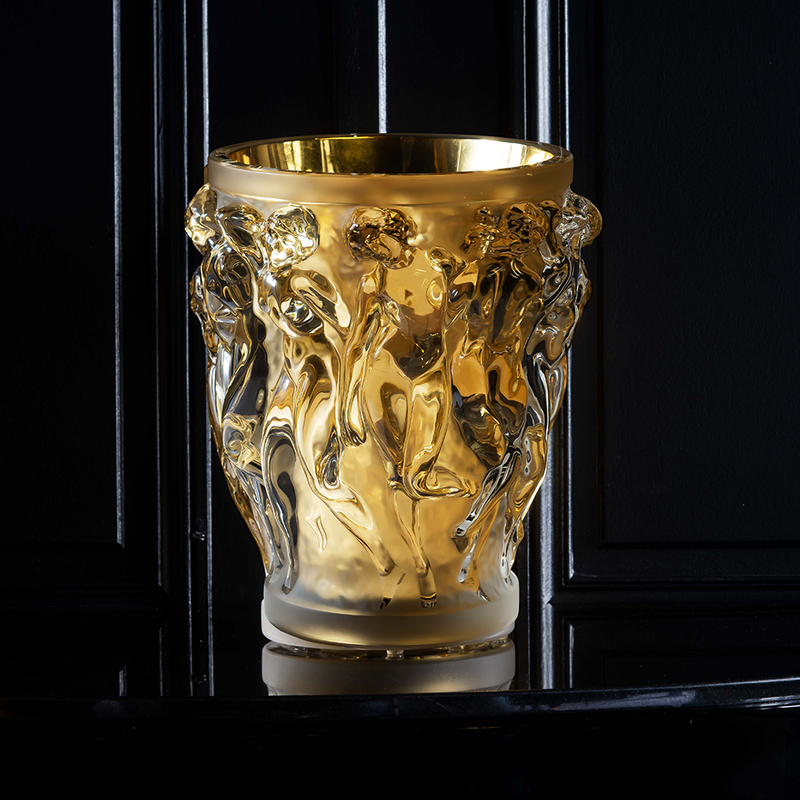 Since 1962, the Ateliers Gohard located in Paris which specialize in gilding works of art, furniture and monuments, have restored the gilding of the Château de Versailles, the Invalides in Paris, the Municipal Theater of Rio de Janeiro and the flame on the Statue of Liberty in New York. This piece of art is the result of meticulous craftsmanship requiring expertise, patience and precision to apply each delicate yellow gold leaf of 0.2 microns one-by-one. 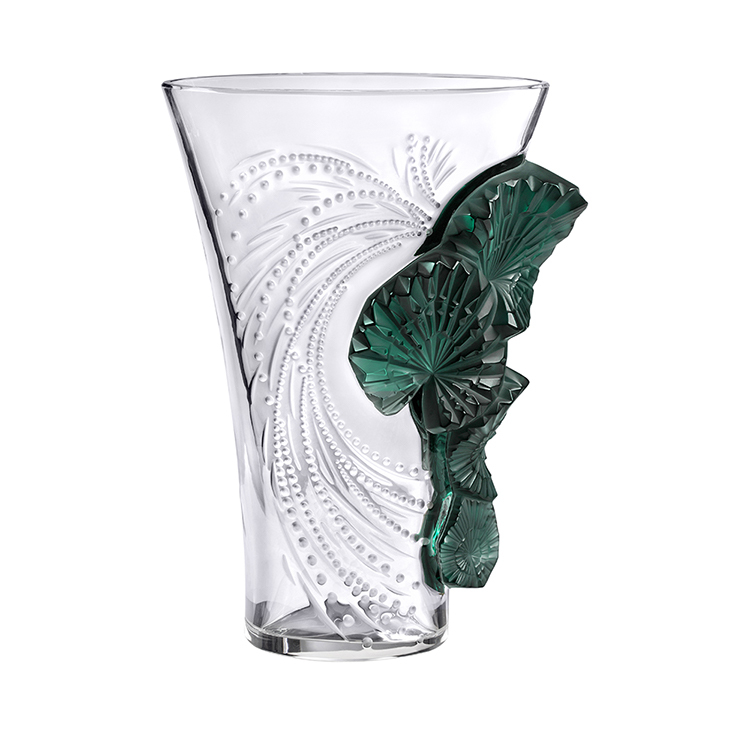 The hand craftsmanship of each piece brings the crystal to life, transforming it into an exceptional work of art, a timeless expression of grace and femininity.